Chamber size: 48" x 36"
Vibrant Marketing has launched new models of Grain / Seed Drying system which can be used for drying any types of free flowing items / commodities. We have many installations done worldwide and have expertise knowledge when it comes to offering a custom based solution for our customers. We are one of the renowned Seed Dryer Manufacturers, Exporters, and Suppliers located in India. We offer a superb quality Seed Dryer, which is widely demanded in the market due to its superior quality and unbeatable performance. Our high-end technology Seed Dryer is ideal for all various kinds of seeds. 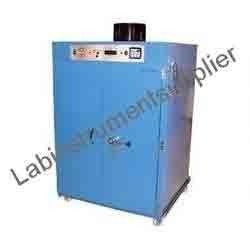 You can avail our Seed Dryer at cost effective prices. 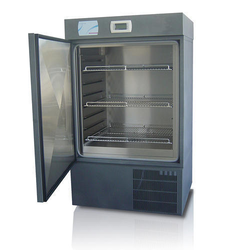 Seed Dryer Cabinet is useful to dry small lots of seed samples. Double walled construction with gasket double wall door. Inner chamber made of anodized aluminium or stainless steel sheet and outer made of mild steel sheet duly finished in powder coating. Two adjustable 90 x 89 x 5 cms. trays are provided. - Provision to programme different temperature for different time interval. This is a Vertical Model Dryer in which the surface moisture given to seeds during the seed coating / treatment is removed and seeds are brought to original moisture content level before seed coating/ treatment. No Overheating is done to avoid the germination % loss of seeds. - Indirect fired type seed drier. - Highly sensitive thermostat, emergency alarm, solenoid valve, sequence controller. - Heating unit provided with all high chimney. - Shall have temperature controller system to adjust the temperature.